Posted: Sun Jul 15, 2007 11:49 pm Post subject: The ultimate "The Force Unleashed" thread! I hope this is what the game case will look like because the previous one looked too generic. That actually is a pretty cool cover. Great find johnsocal. I doubt that's the final, Republic Commando had a supposed final cover for months - it was waaaaay cooler than the end cover, but still very cool. Nice find! I completely agree with you there - just saying that LucasArts doesn't always stick with the coolest one. But that was used earlier on. I assume the later version will be used. ... Possibly. I think they'll make a different one altogether. And, if you do find one, for the love of [insert deity here], don't actually post the image. By the way, this is for a PS3 wallpaper. Aaaahh...so it has a TIE Crawler. Maybe that is why Lego came out with a TIE Crawler? A preview perhaps? 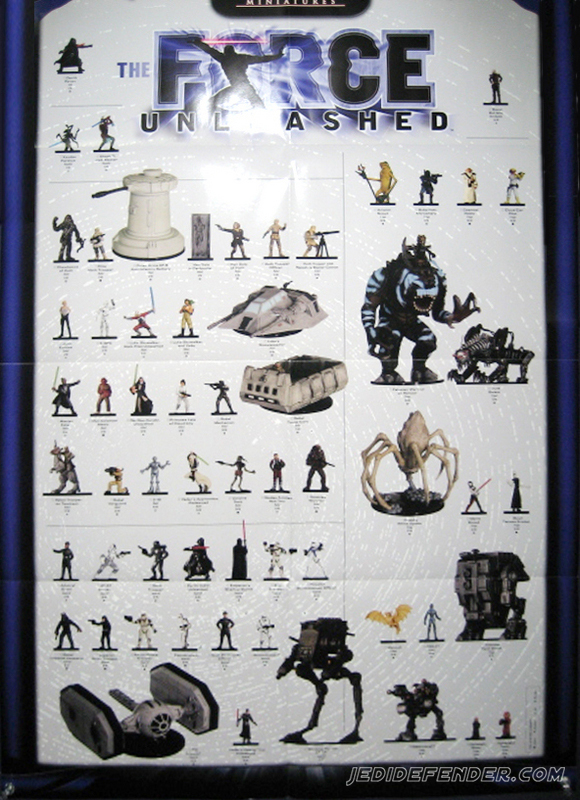 Here�s the rumor list for Hasbro �Force Unleashed� figure and vehicles for 2008. Maybe this could give us a hint of some possible new LEGO sets as well. Definitely one of the highlights of this year's Toy Fair coverage, Hasbro showed off 7 figures based on characters from the Star Wars: The Force Unleashed video game. But when the game was pushed back to the spring of 2008, the majority of the tie-in merchandise was also pushed back. And although we did see the figures again on display during Celebration IV, we haven't seen much else since then. But seems pretty sweet, but where's the apprentice? Yeah... they also made a Revan figure. And Darth Vader with removable armor? Does that hint anything about 2008 sets with a possible Vader with a half-helmet? Weird, that rancor has the colour pattern of the Felucian bull rancor, but it doesn't look like a bull rancor. He could be one of the five unannounced figures. Yeah, that's bad. And weird; the Wookieepedia page says the game will come for PS2, PSP, DS and Wii, but not for PC. I wonder if this is just a Wookieepedia's mistake or a conspiracy against PC players..
No, Lucas Arts have indeed announced it for the above consoles, but not thePC. Wookiepedia is, gasp, right. But why? Why does Lucasarts make the game for PSP and not for PC, although there are a lot more PC players than PSP players? That makes no sense..
Do you live in the UK or US? I'm selling mine to save up for a new slim & lite PSP. Ok anyway: that rancor looks wrong. From a production sketch, the rancors were more burlier, and had scarred up faces. Well, it was a prod sketch. Change, maybe?